Biannual maintenance plans on unmonitored systems or annual maintenance plans on systems with 24/7 monitoring. In each case, we will change the oil, filters, and spark plugs, to ensure your generator runs properly. We have a thorough list of measurements and adjustments that we conduct to maintain engine performance and system reliability. 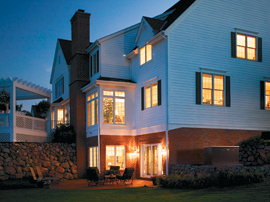 All Phase Electric Co goes beyond just the sale and installation of your standby generator. We are authorized warranty service providers for several brands of generators, which enables us to serve your needs for the service life of your investment. Our business is built on your long-term satisfaction and this is the basis for our generator maintenance program. As an authorized dealer for Kohler, Briggs & Stratton and Generac home generator systems, All Phase Electric Company can help you get the right sized generator for your power needs and keep it running through every power outage. We can help you select and size the perfect generator for your home, handle the complete custom installation, troubleshoot service issues and perform annual maintenance on your generator system. If you are a home owner in Chester County, Delaware County, Montgomery County, or the Main Line of Philadelphia, call All Phase Electric Company, Upper Darby, PA today for a free generator consultation. According to the Department of Energy, power outages cost Americans $150 billion a year. Increasingly, people are experiencing losses due to weather emergencies that may result in home power failure. While some recent storms have been catastrophic-generators were in short supply. Losses can range anywhere from minor inconveniences to huge headaches. Imagine having to replace a refrigerator or freezer full of food, cleaning a flooded basement caused by a backed-up septic system or even worse. You may not need a larger generator...just a smarter one. In the past, selecting a home generator system meant choosing between a smaller unit that would only power the barest essentials, or a much larger, more fuel-hungry and costly unit. Call All Phase Electric Company to discuss the purchase and installation of a home generator. When you buy a generator you are buying All Phase Electric Co. Service support. We’ll make sure your generator is ready to go in emergency situations.